Crystal lake finally froze this week in mid February of 2017. This morning I was greeted with an amazing display of color shifting in tones from vibrant orange to yellow and then fading as the sun breached the horizon. Here are both a vertical single frame shot and a panoramic composite. Notice the several ice fishermen out on the ice. Prints can be ordered on the Crystal Lake and panoramic pages. 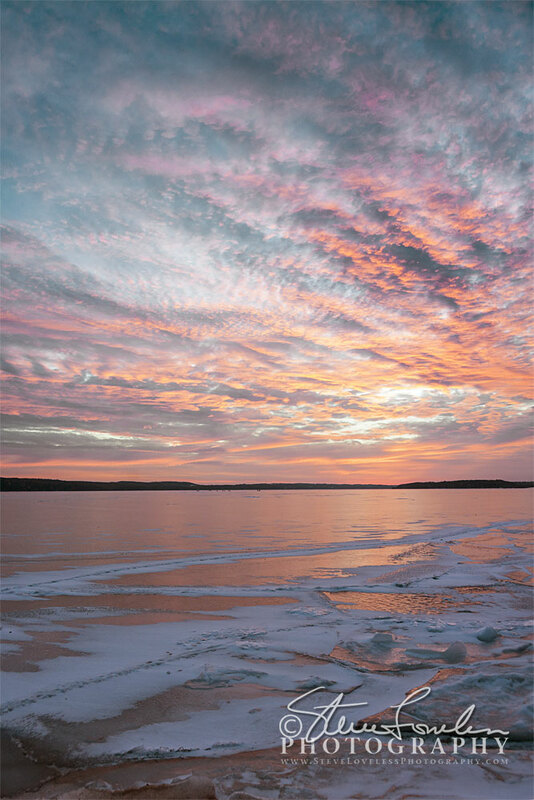 The pano is CL243 Ice Fishermen At Sunrise and the single frame is CL244 Crystal Lake Fire And Ice.